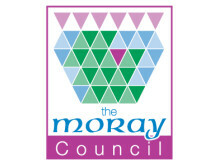 Moray Council today became the first local authority in Scotland to indicate that it intends to increase council tax following a nine-year freeze. The council’s ruling administration group said that raising council tax was essential if frontline services to the public were to be protected. Council leader Councillor Stewart Cree revealed that the proposed increase could be as much as 18% to allow the council to present a balanced budget at next month’s special meeting of the full council. An 18% rise would see the council tax for an average Band D property increase from £1135 – where it has been pegged since 2007 – to £1339. 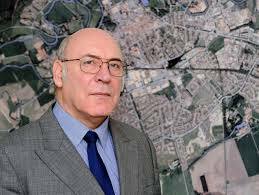 A Band A property would go up from £756 to £892 and a Band H from £2270 to £2678. 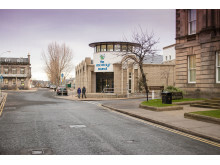 Moray Council had been facing a financial shortfall of £6.8million for the year ahead but that figure rose to £11.9million following last month’s funding allocation announcement by the Scottish Government. 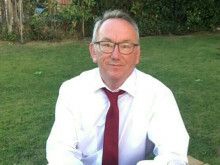 Councillor Cree said that after lengthy deliberation the administration group had concluded that an increase in council tax was inevitable if frontline services and facilities were to be spared further cuts. The level of increase which is being proposed would raise £5million next year, with the administration group proposing to take a further £5million from reserves. With savings of £1.9million already identified, that would enable the council to balance its budget for 2016-17. Allowance has also been made in the calculations for the money which the Scottish Government will withhold in the event of councillors agreeing to the council tax rise at the budget meeting on February 11. “The administration group have examined all realistic options very closely, but this level of financial reduction has placed an entirely new dimension on our deliberations. “While we will continue to look at further efficiencies, we have to recognise that there is no way we can achieve this level of savings by efficiencies alone. “Equally, we do not believe that the people of Moray should have to see the services and facilities that they cherish so much continue to deteriorate and that is why we have decided to consider increasing council tax to a level that would protect services both now and in the future. 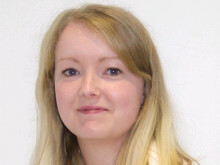 “In so doing, we are aware that we will have penalties imposed on us by the Scottish Government and we will forfeit the £1.1million that we are currently allocated to offset the council tax freeze. “However in light of the scale of the deficit we are facing, this £1.1million pales into insignificance when the only alternative would be further cuts to services – or even the loss of some services altogether. “That said I have written to Mr Swinney about our concerns and I look forward to his response. 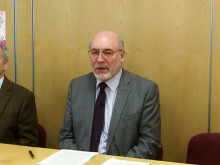 Councillor Cree said Moray Council had always been eager to engage the public in budgetary decisions. “In this case, where no consultation was offered by the Finance Secretary and due to the extreme and pressing nature of this further funding cut by the Scottish Government, we apologise that we will be unable to bring these matters to the public in time for next month’s budget meeting.